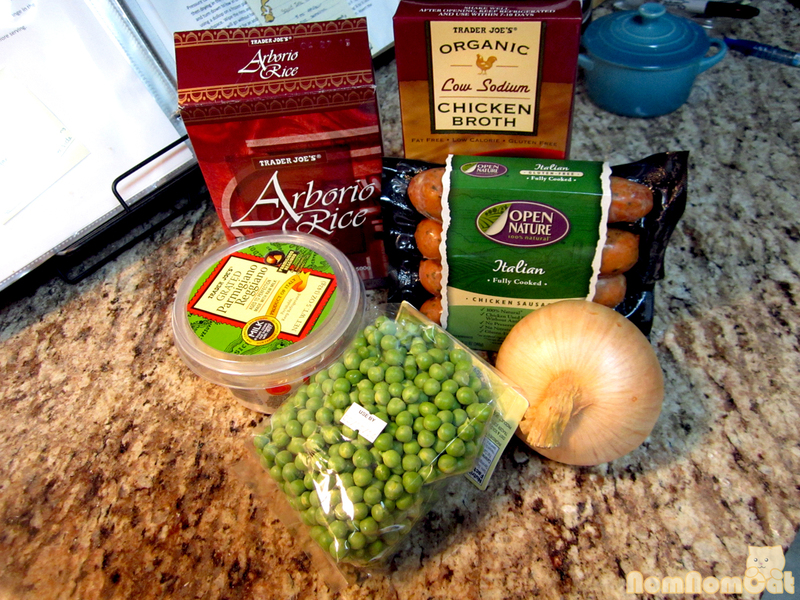 Also, I chose to toss in English peas as they looked especially fresh and colorful on the shelf of my local Trader Joes (which, apparently, now stocks microgreens as well in case you wanted to bring restaurant plating techniques to your home kitchen). You could substitute (or add) fava beans, chopped asparagus, artichoke hearts, shaved fennel… if you dream it, you can achieve it. 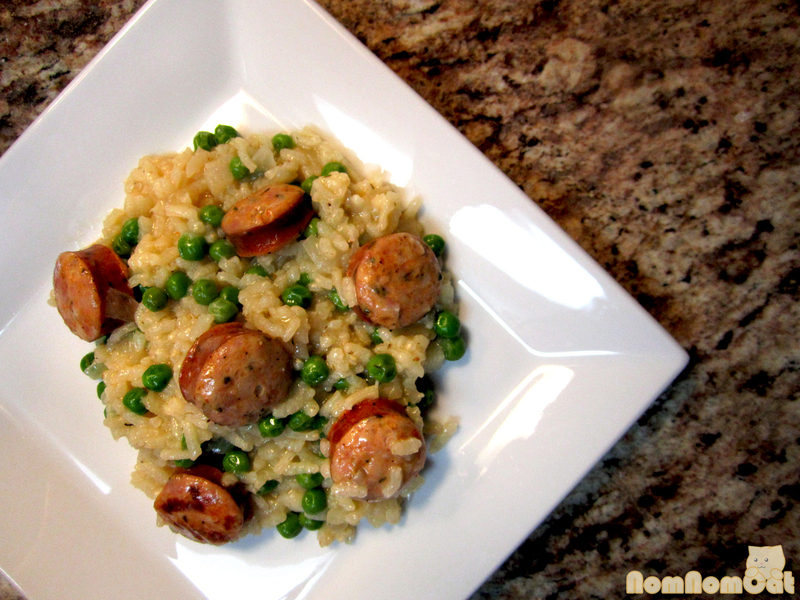 Longtime readers may recognize that the instructions are very similar to the risotto al funghi that we posted last summer! 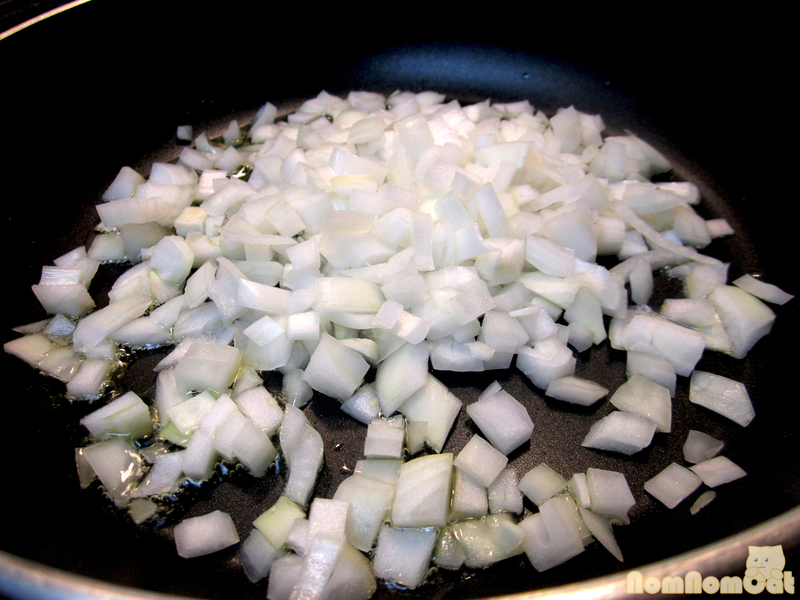 Sweat the onions and garlic in oil over medium heat until softened, about 5 minutes. 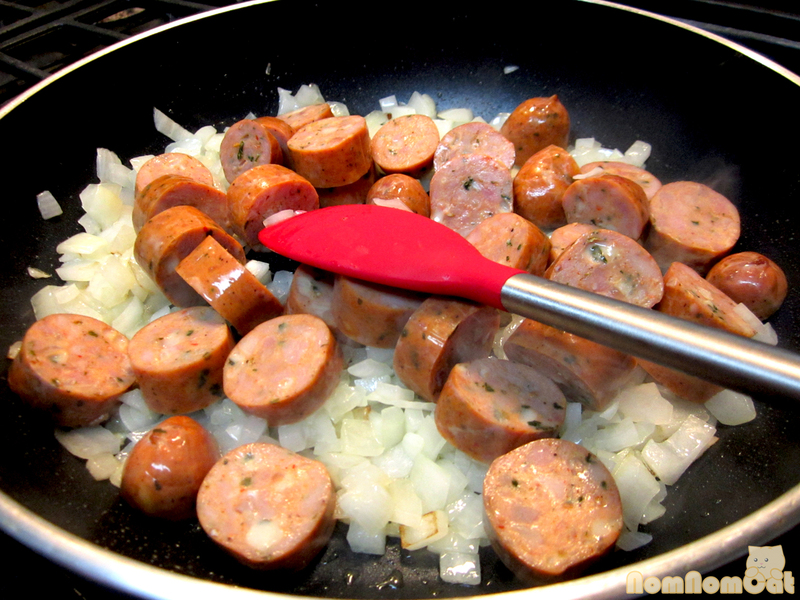 Add the sausage and saute for a few minutes. I tried to get a bit of color on some of the slices. 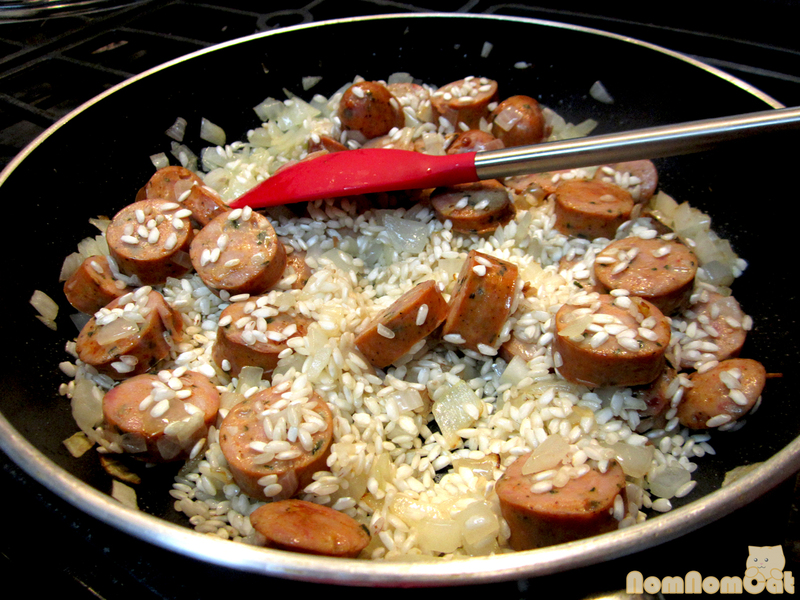 Add the rice and pour in the wine to deglaze the pan. Stir until the wine has been absorbed. 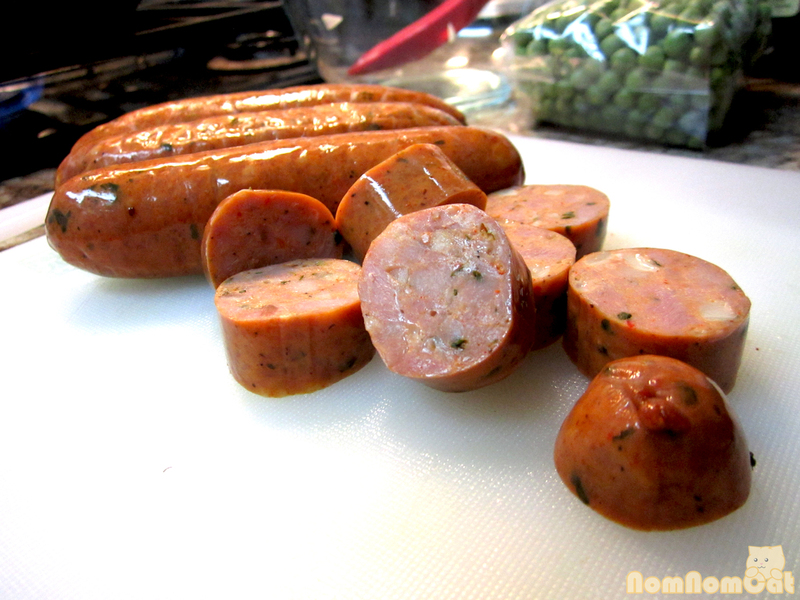 Toss in the thyme and pour in the chicken broth, about 1 cup at a time. Let the liquid come to a simmer. 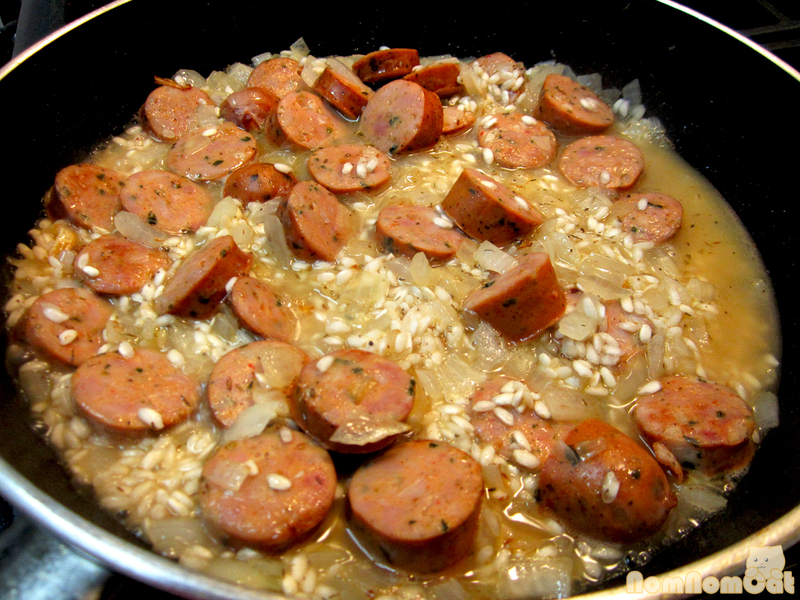 When the rice has absorbed most of it, add more chicken broth, reserving about 1 cup (less is OK) for the next step. 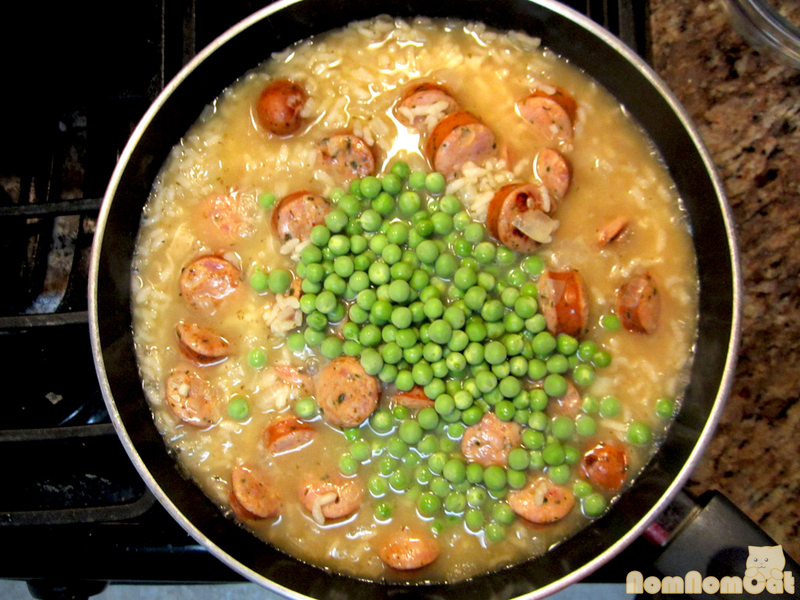 After about 20 minutes or when the rice has just gotten to the al dente stage, add the peas and pour in the reserved broth. 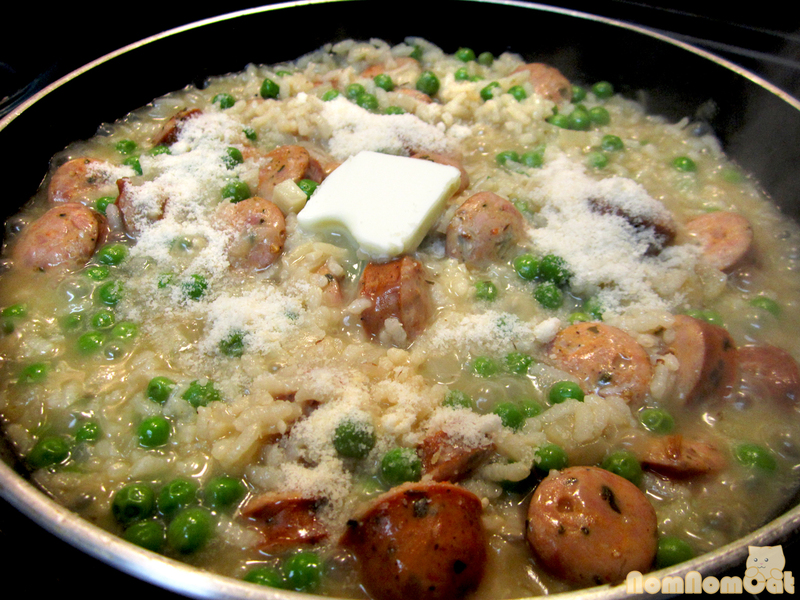 When most of the liquid has been absorbed and the peas are cooked through but not mushy, finish with the butter and parmesan. 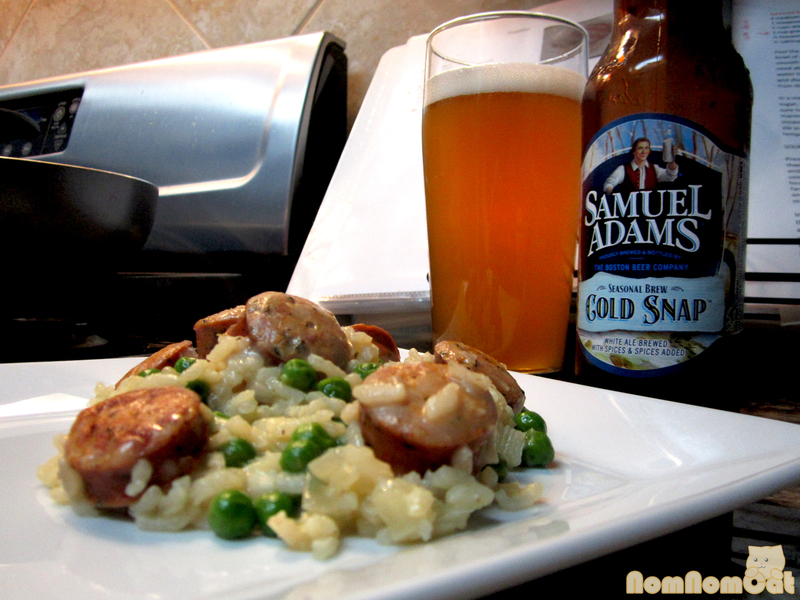 Season to taste with salt and pepper and serve hot.